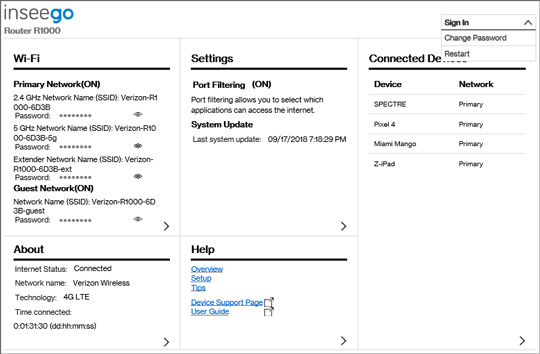 Here's how to back up and/or restore the current configuration of your Verizon 5G Home Router in case you need to restore settings to factory default for troubleshooting purposes. Backing up allows settings, like Wi-Fi connected devices, to be automatically reconnected after settings are restored. 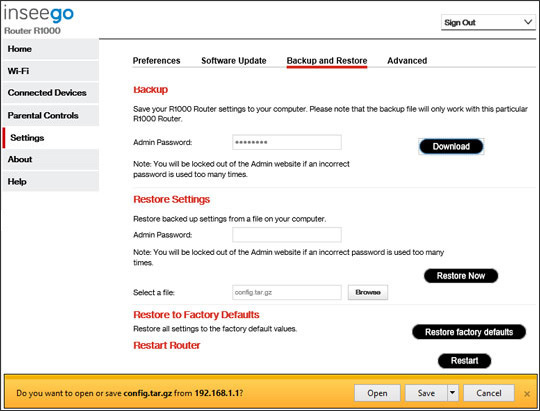 From Settings, click the Backup and Restore tab. From Backup, enter the Admin Password then click Download. Save the 'config.tar.gz' file to a known location. From Restore Settings, enter the Admin password. Click Browse, locate and select the 'config.tar.gz' file. then click Restore Now.